A single report in Reporting Services can serve many masters. 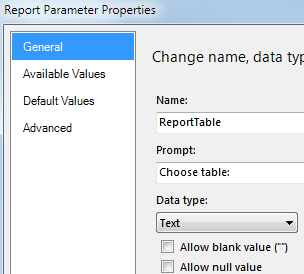 This blog shows how to allow a user to choose which data a report should display, using a dropdown parameter. When you run the report, you can either show a list of film directors of a list of film studios. It turns out that this sort of one-report-serving-all effect is remarkably easy to achieve. 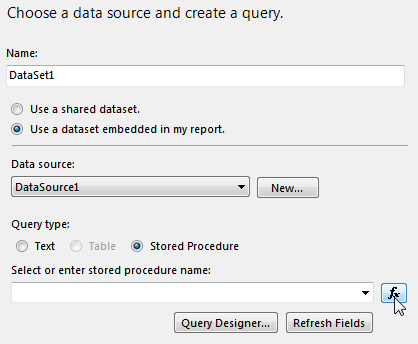 There are 3 stages: creating the drop-down parameter, creating the dataset for the report and creating the table. 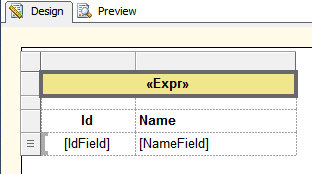 First add your parameter (this assumes you're using SSRS 2008 or 2012). Give your parameter a name, and a sensible prompt. Add one possible available value for each table a user can choose. 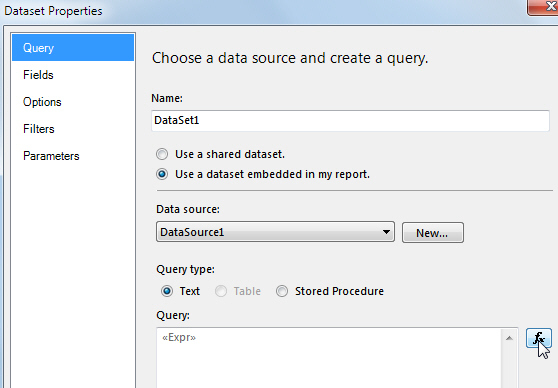 When creating the dataset, click on the expression builder as shown. This will always return two fields, called IdField and NameField. 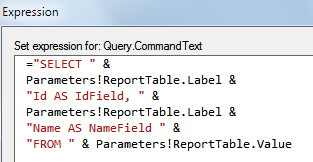 It doesn't matter what parameter value the user chooses, the fields in the dataset will always be the same. A standard table, displaying two columns. The title changes according to whether directors or studios are being reported. 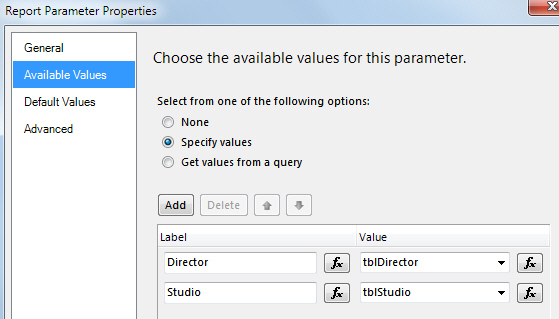 You can use an expression for the stored procedure, which would depend on the parameter value chosen. Just a thought to finish up on!